For my trip to Madagascar, my primary camera was the Konica Minolta Dimage A2. The camera proved durable (between the heat, humidity, and dust in various parts of Madagascar) and the battery life was respectable. I was especially impressed with the anti-shake (image stabilization) technology that makes pictures crisper especially when using the telephoto. 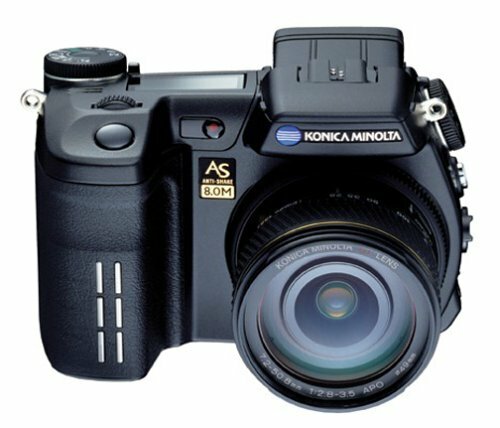 I would highly recommend the Konica Minolta Dimage A2 for anyone from beginners (many auto-features if desired) to advanced photographers. : 52 x 39 mm / 2.05 x 1.54in. : Flex Focus Point control is available with the spot focus point. Focus modes: Autofocus: Single-shot AF, Continuous AF, Full-time AF, Subject Tracking AF. Full-time AF: With the spot focus point or Flex Focus Point. : Full-time AF can be disabled. Subject Tracking AF: With continuous AF. Subject Tracking AF can be disabled. Focus lock: By pressing shutter-release button partway down. Subject lock: With Subject Tracking AF by pressing shutter-release button partway down. : *Macro Flash Controller is necessary. : Non-dedicated off-camera flash units can be used using the camera's flash-sync terminal. : Interval time: 30 s, 1 - 10 min., 15 min., 20 min., 30 min., 45 min., 60 min. : Start time: 0-24h in 0.5h increments. Digital Enhanced Bracketing: Three-frame contrast, color saturation, or filter bracket in fixed increments. : Automatic selection function between standard and night movie modes available. : Preset (Daylight, Tungsten, Shade, Cloudy, Flash, and Fluorescent settings) with fine adjustments in seven levels. : Imprinting can be disabled. Custom functions: Control dial customization. : User-selectable function can be assigned to the function dial. Battery performance (Playback): Approximate continuous playback time: 240 min. with NP-400 lithium-ion battery, External LCD monitor on, EVF off. Battery performance (Recording): Approximate number of recorded images: 280 frames with NP-400 lithium-ion battery, EVF off, External LCD monitor on, Full-size images (3264 x 2448), Fine image quality, No instant playback, No voice memo, Flash used with 50% of the frames.